I have completed my first assignment, a week before schedule. 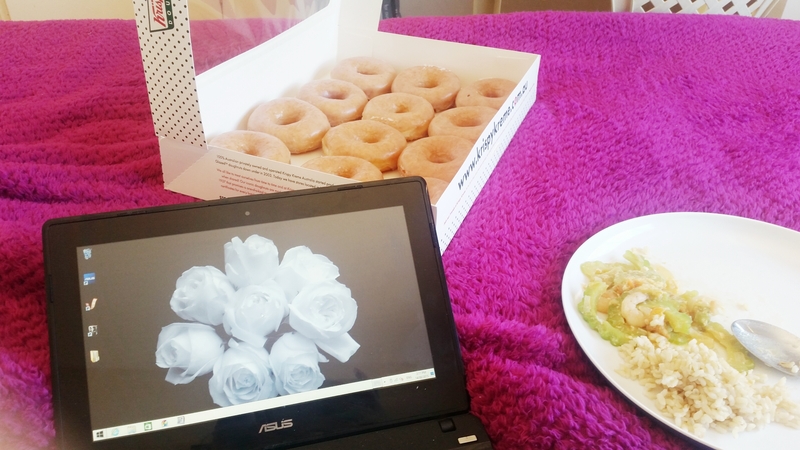 Productivity 1 procrastination… I shall not number. I generally have a to-do list each day, though the struggle to complete each one is real. It does help, because it outlines for me the core areas I need to focus on. 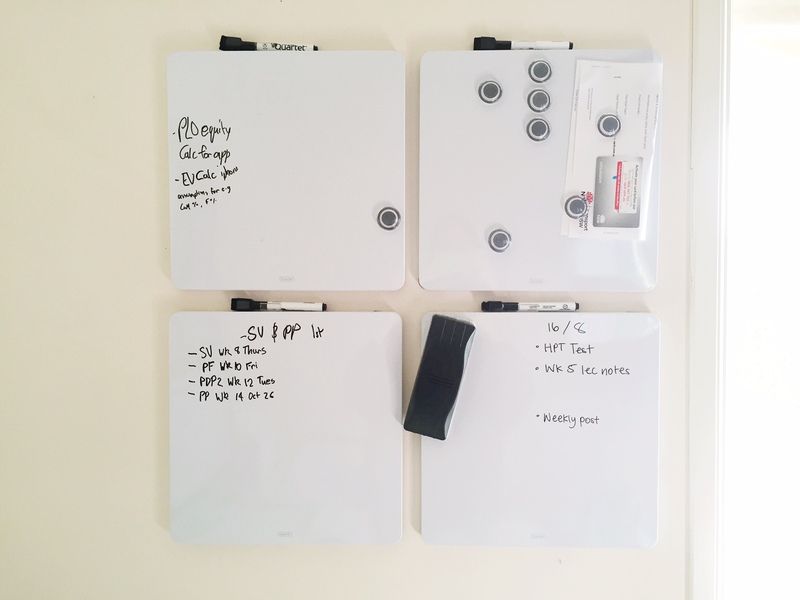 Either writing it down on a notebook that you bring or like me, writing it on a white-board not only saves paper but can easily be seen whilst on the desk. Portability though is an issue. E and I purchased ours from Office Works which came in separate squares. Currently in the process of re-designing our study space. On a personal note, my relationship has been facing various challenges these past few days which definitely takes its toll. Being humble and patient is surely two powerful tools to understand and master, especially when you think you are the victim. Really takes time. 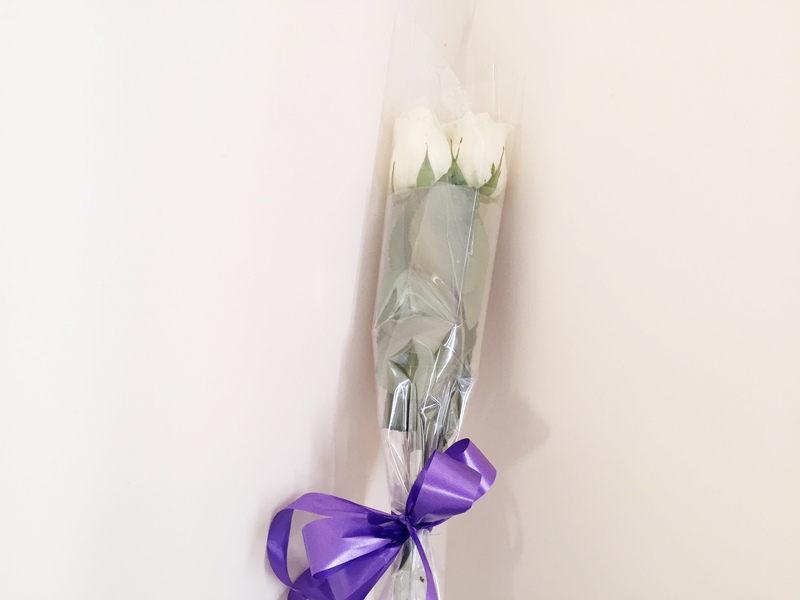 But if you are like me, white roses, a hint of purple and an apology will do the trick haha! Track work was on this weekend. Yesterday I was able to start finishing off a novel that I was holding off for so long! Hopefully I can get a review done by the end of this month. 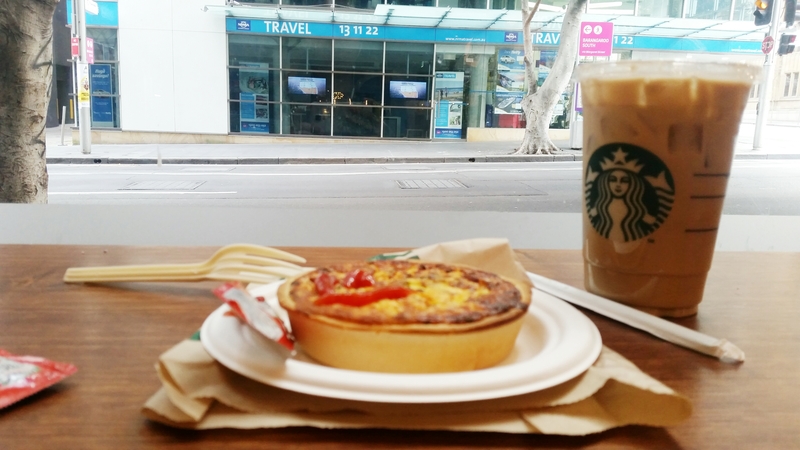 I sipped on a venti soy iced-latte and all-time favourite a quiche, in the modern Starbucks setting in Wynyard.